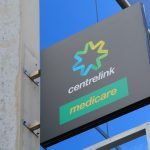 What Should I do if I'm facing A Centrelink Overpayment Prosecution? 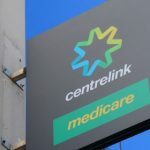 Over payment of Centrelink benefits can lead to serious criminal charges, particularly if it is believed that you deliberately withheld information or misled Centrelink for the purposes of receiving benefits that you weren’t entitled to. 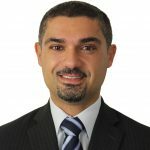 The process for Centrelink overpayment prosecutions is lengthy and involved, and getting the advice of a criminal defence lawyer who is experienced in Centrelink matters can be invaluable. What are the penalties for Centrelink fraud? If you are convicted of Centrelink fraud, the penalties range from fines and good behaviour bonds to lengthy prison sentences. You will normally also be required to repay the outstanding money, and this could cause extreme financial hardship for you and your family. If you have been charged with obtaining a benefit by deception, which is the charge levied in these types of Centrelink fraud cases, it is important that you speak to an experienced criminal lawyer in order to present the strongest case possible, so that you can avoid harsh penalties and even, in some cases, avoid having a criminal conviction recorded against you. What can I do to defend myself? If you believe the charges against you are wrong or unfair, your lawyer can help you by writing a letter to the DPP to request that the charges against you be withdrawn. Due to the lengthy and costly process that is involved when prosecuting Centrelink overpayment charges, if there is insufficient evidence against you or obvious weaknesses in the case, it is possible that you will be able to have the charges against you dropped. That you engaged in the conduct. That as a result of the conduct you obtained a financial advantage for yourself or another person. You knew or believed that you weren’t eligible to receive that benefit. That the offence was committed against a Commonwealth entity. If there is reasonable doubt surrounding any of the above, the court can’t find you guilty of obtaining a benefit by deception. Your best defence against Centrelink overpayment charges will depend on your individual circumstances, and your lawyer will be able to help you prepare your case and any supporting evidence. If you made a genuine mistake or there was an error on the part of Centrelink, your lawyer will advise the DPP of this. If the DPP continues to prosecute, your lawyer will then present your evidence in the best light in court. What if I choose to plead guilty? If you agree with the charges against you, pleading guilty shows that you accept what you have done. This can be a benefit in the long run, as it could help you get a more lenient penalty. If you decide to plead guilty to charges relating to Centrelink fraud, there is still plenty you can do to help present your case in the most favourable light, and your defence lawyer will be able to advise you on the most appropriate way forward in your circumstances. Showing remorse and an understanding of the consequences of your actions can help convince the court to look more favourably on your circumstances. In some cases, it might be appropriate to write a letter of apology to the judge or magistrate outlining how sorry you are and acknowledging that you are aware of the seriousness of your actions. Other things that can help your case if you choose to plead guilty include making reparations and paying back the money that is owed. Paying back the money doesn’t mean that you will be able to avoid a court case or a criminal conviction, but it may help prove that you are remorseful and therefore less likely to commit a further offence. However you decide to plead, if you are facing a Centrelink overpayment prosecution, it is important that you speak to a lawyer with experience defending Centrelink cases.